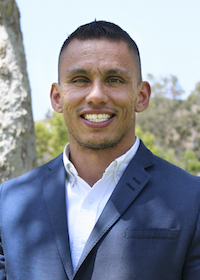 Dr. Guerrero is a faculty member in the Department of Political Science at Cal Poly Pomona. Dr. Guerrero teaches courses on American politics including the presidency, Congress, and elections. His research includes work on campaign finance, the political implication of social networking sites like Facebook and Twitter, and other facets of political behavior. Dr. Guerrero's work has received recognition from the American Political Science Association and he is a Ford Foundation Fellow. For more information, visit Dr. Guerrero's website. Focus on practical skills for conducting empirical and quantitative research. The basics for searching scholarly material, utilizing research designs, applying descriptive and inferential statistical analysis and using datasets and statistical software [e.g. SPSS]. Selection and completion of a thesis under faculty supervision. Thesis is to be of substantial quality on a significant problem in the student’s major area of interest within political science.